Do you ever find yourself questioning what you believe around issues that impact your life and business? Do you ever feel lost in your decisions? Are you ever frustrated in your lack of ability to take your life or business exactly where you know you want to go? 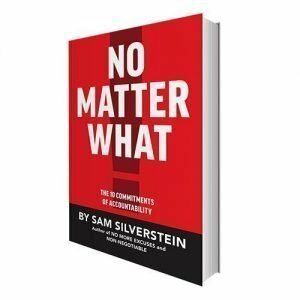 Non-Negotiable is all about understanding what you believe, what you can control, what your mission is, the importance of valuing people and ultimately taking your convictions to the level of non-negotiable. 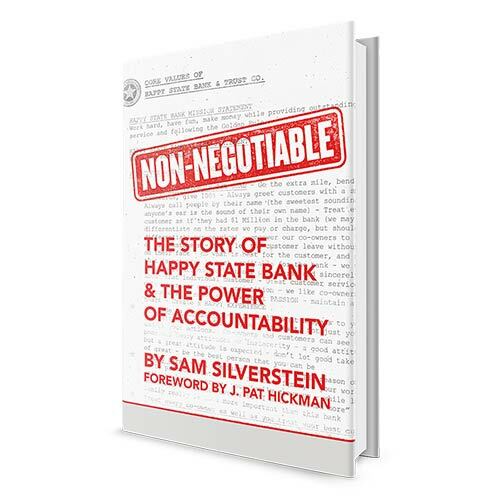 Based on the real life story of J. Pat Hickman, a man with a purpose, and the bank he leads, Happy State Bank, you will see firsthand what success looks like. 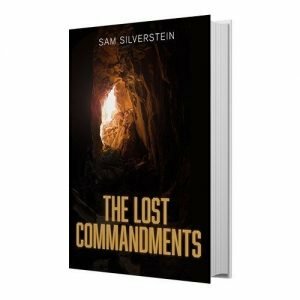 Sam Silverstein, champion of accountability, presents the inspiring story of how J. Pat Hickman transformed a sleepy small town bank from one location and $10 million in assets into 35 locations and over $2.5 billion in assets by knowing what he believes and not negotiating on what he holds dear. In the process he assembled a team of leaders who understand what great culture looks like and a bank full of motivated people who love what they do. Whether you’re a business owner, a top executive, or a team leader, accountability starts with you and trickles down to everyone else. 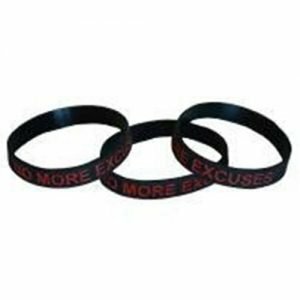 If you want to build an organization that achieves its goals and beats the competition, it’s time for No More Excuses™.